This course is designed to enable students to specialise in subjects related to human rights law, equipping them with comprehensive knowledge of international and regional human rights regimes and mechanisms, and critical assessment of their suitability to address contemporary challenges, such as the impact of business on the enjoyment of rights. Why study LLM Human Rights Law with Integrated Placement at Middlesex University? You will deepen and broaden your knowledge of law as an academic subject; acquiring a systematic understanding of legal processes, methods and concepts, of the social and political context in which legal processes take place and of appropriate theoretical conceptions of law. By maximising your academic potential and refining your problem-solving skills in a transnational context through the acquisition of systematic and critical understanding of complex legal, economic, cultural, ethical and political issues informing the creation of international and regional human rights frameworks, institutions and practice you will enhance your professional development and horizons. With a strong sense of social justice at its core, Middlesex University School of Law is home to some of the world's foremost figures in the fields of human rights law, including genocide and death penalty authority Professor of International Law William Schabas, former journalist at the BBC World Service and human rights expert Senior Lecturer Dr Alice Donald, and the Director of the European Human Rights Advocacy Centre (EHRAC) Professor of Human Rights Law Philip Leach. In 2015, Professor Leach was named the Law Society's Human Rights Lawyer of the Year. When Professor Leach is not taking human rights cases to the European Court of Human Rights with EHRAC, which is based on campus, he is teaching on our postgraduate programmes. There may also be internship opportunities in national and international organisations such as the United Nations or in the European Human Rights Advocacy Centre on campus. As part of this course, you can do an optional three month placement. Programmes with integral placements give you the opportunity to apply the skills you have learned throughout your studies in a practical environment. During the placement you will learn skills that can't be taught in a classroom at University and that you can take forward into your individual project and into your future career. The placement will be weekly for a minimum of one day a week during University teaching weeks and for a minimum period of 15 weeks although alternative arrangements may be agreed. The placements will take place throughout the year, alongside your taught modules. One of the real advantages of studying human rights at Middlesex is that a number of the teachers are practising human rights lawyers. They are taking cases to the European Court of Human Rights (and other fora) and they bring their practical experience directly into the classroom. Students therefore get extraordinary insights into current human rights practice. What will you study on the LLM Human Rights Law with Integrated Placement? Attendance may be required during the day and/or evening, depending on your choice of modules. Each module is typically worth 20 credits, except the Dissertation and Work Integrated Learning modules are worth 60 credits each. The Work Integrated Learning module may be chosen to replace the Dissertation with prior agreement. Not all of the modules listed will be available in any one year. Module availability is dependent on staffing and the number of students wishing to take each module. This module engages you with the legal, political and philosophical perspectives of the legal frameworks, institutions and remedies available to protect fundamental rights in Europe, both under the European Convention on Human Rights and the European Union Charter of Fundamental Rights. Provides an in-depth understanding of the international human rights law framework under the United Nation organisations and ability to assess its efficacy engaging the complementary American, African and Asian regional systems of promotion and protection of human rights worldwide. This module equips you with essential research skills necessary to complete a master's of law successfully, including the technical and conventional systems governing academic writing and the principles and practice followed in legal reasoning. This module equips students with critical understanding of the major theories concerning the nature of corporations, their role and function in society, the concerns surrounding corporate governance and corporate responsibility, and the laws and practices governing directorial conduct and company operation in selected countries. Gain advanced knowledge of the laws restricting the means and methods of warfare and protecting the victims of armed conflicts. As part of this course, you will do either a three month or one year industry placement. Programmes with integral placements give you the opportunity to apply the skills you have learned throughout your studies in a practical environment. You will be earning a full time salary and will learn skills that can't be taught in a classroom at University. During the placement, you will be able to gain further insight into industrial practice that you can take forward into your individual project and into your future career. The placement will take place alongside your taught modules, during your degree. How will the LLM Human Rights Law with Integrated Placement be taught? Lectures, seminars and presentations are used to communicate core information, develop themes and ideas, and seek to encourage student participation through interactive exercises and opportunities for peer and self-assessment. You will also be required to engage in intensive programmes of structured reading and research, and to present your findings orally and in writing. Several sessions within each module and a substantial part of the Dissertation are designed to provide guidance on identifying a suitable research question, carrying out research, writing a literature review and planning and writing a dissertation. Eligible students who enrol on the Practicum in International Organisations or Work Integrated Learning modules will engage with decision makers in our partner organisations and develop new skills in research, writing, IT and networking. Student's practical skills are assessed by oral presentations, coursework, peer-marking, exams, literature reviews and, where appropriate, dissertation, diary and report writing. How can the LLM Human Rights Law with Integrated Placement support your career? In-depth knowledge of human rights law equips students with skills across several legal disciplines and opens career possibilities in public and private bodies working in sectors concerning public law, family law, discrimination, immigration, housing, actions against the police, employment or business law. This programme is particularly aimed at students who are interested in human rights-related work and/or who wish to influence policies to ensure the enjoyment of human rights at national, regional and international level. Many have also continued their higher education studies via a PhD. 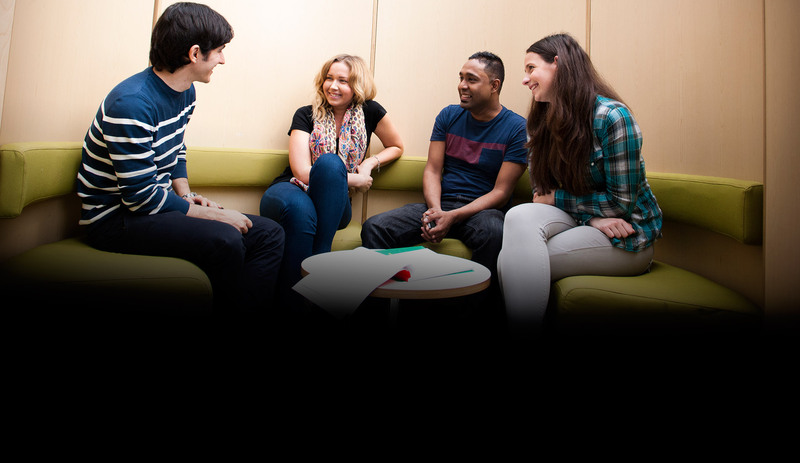 As well as access to the University's Employability Service students are offered specialist advice by the Programme Leader and other contributors to the programme, including guidance on how to enter and pass recruitment processes for national and international organisations. Students have access to the support services offered by the Clinical Legal Education programme and are invited to attend career-focused workshops, skills sessions and events. Our team of world renowned lecturers will provide the latest thinking and practice on legal issues. Our students benefit from their considerable network of contacts and connections within their sectors, notably for internship opportunities within international and domestic organisations, such as the United Nations, our on-campus litigation centre, the European Human Rights Advocacy Centre (EHRAC), the Legal Advice Centre, and a range of local companies providing professional legal services. Programme Leader for all LLM courses, is actively engaged in promoting the realization of human rights at local, national and international levels. His works focuses on the protection of the rights of indigenous, tribal, forest and other land dependent peoples in the context of large scale development activities impacting on their territories and way of life. You can find out more about his work and research, as well as his contact details should you wish to discuss any aspect of the LLM programmes, by visiting his staff profile.